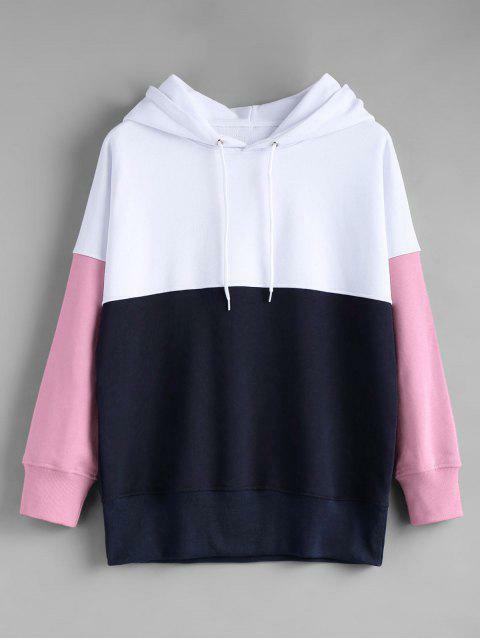 [60% OFF] 2019 Contrast Longline Hoodie In PINK | ZAFUL .. I ordered a L because I wanted it to be over sized but they sent me a M so it fits fine and it is good quality, just wish I got the size I ordered. Casual longline hoodie featuring drawstring detailing, color block and drop shoulder design.